Everyone is pretty excited over here at Android Police, and for good reason. We just hit a major milestone: over a half million followers on Twitter. To celebrate the occasion, we've teamed up with Nvidia to give one lucky reader a 2017 SHIELD Pro, as well as a $25 Google Play gift card and a handful of game codes. 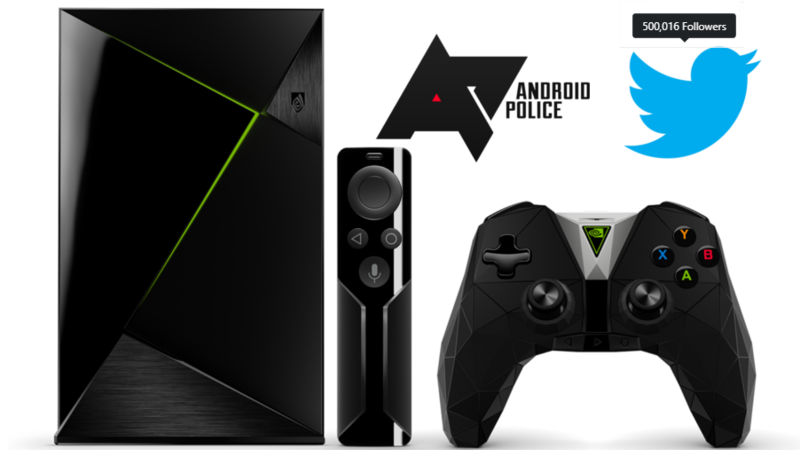 If you aren't familiar with Nvidia's SHIELD, you can check out our review, but the short version is that it's an immensely capable Android TV device. In fact, if you've got a 4K TV at home, the 2017 SHIELD is one of the best all-in-one choices out there for both streaming content and Android games. You can even use it to stream games from your PC. Let's put it this way, it won our "Most Wanted" superlative, and that's enough. The "Pro" is the 500GB model so you can look forward to having plenty of space for apps and media. It also has a microSD slot for a bit of extra storage and can spit HDMI 2.0. 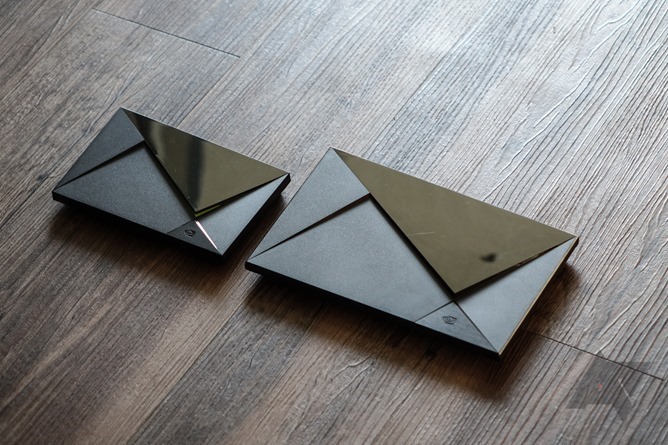 It's powered by Nvidia's Tegra X1 SoC and has 3GB RAM, Bluetooth 4.1LE, and sports AC speeds on Wi-Fi. The SHIELD Pro also has an IR receiver, in case you have a phone with a blaster or a Harmony Hub. The "Pro" is the one on the right. In addition to the SHIELD Pro, the winner will also get a $25 Google Play gift card, and game codes for GoNNER, Ultimate Chicken Horse, Doom 3, Resident Evil 5, and Metal Gear Solid 2. This giveaway is special in a few different ways. Since we're celebrating a Twitter milestone, we thought it was only fair that we limit entries in this case to Twitter, so that's your only way in. We've also opened things up to as wide of an audience as we can. The giveaway closes Saturday, September 16th at 11:59pm Pacific Time, so get tweetin' via the widget below.